The family of a 27-year-old doctoral student at Washington State University who drowned in a Seattle hotel pool has filed a wrongful death lawsuit against the company responsible for maintaining the hotel facilities. According to a news article published by the Seattle Times, Tesfaye Girma Deboch was staying with 13 other WSU students at the Quality Inn & Suites Seattle Center hotel on June 30, 2013 when Deboch decided to go to the pool. Shortly after they got into the water, a friend noticed that Deboch was flailing around and exhibiting other signs of possibly drowning. Because the friend could not swim, he ran to the hotel's front desk for help and the attendant called 911. Officials with the Seattle Fire Department arrived at the hotel within 2 ½ minutes of the initial call, according to the Seattle Times. Firefighters reportedly used thermal imaging technology and a rescue hook to attempt to find Deboch's body, but determined after 17 minutes of searching that the body was not in the pool. SFD officials reportedly canceled the water rescue team's search and then told hotel employees that they could re-open the pool area. More than a dozen hotel guests were reportedly allowed back inside the pool after the Seattle Fire Department left the hotel. Deboch's friends remained concerned after SFD officials left, particularly because his clothes, cell phone and wallet were still in the pool area. His friends continued searching the pool, and a 51-year-old off-duty firefighter eventually joined in the search. After approximately 10 minutes, they were able to locate Deboch's body. What Caused College Student's Drowning? According to legal documents associated with the wrongful death suit, Deboch's body was allegedly dragged by a suction pump at the bottom of the pool that was equipped with an emergency shut-off switch that would cut power to the pump if it detected a blockage. However, the lawsuit claims that the emergency shut-off switch had failed. 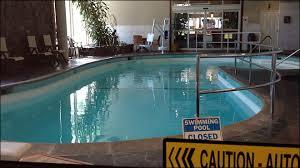 Inspection records show that the hotel's pool had been closed down multiple times over a few years before Deboch's death due to various issues with the chemical balance of the pool water. In each instance, the Seattle Times says inspectors made note of how “murky” and “hazy” the water appeared. This was clearly a factor on the day that Deboch drowned at the pool, as firefighters were unable to locate the man's body in the water. Even thermal imaging technology was unable to assist the fire department in locating the body, which is a bit surprising considering how clear most hotel pools are. Another factor that has emerged is the fact that SFD officials have admitted that their crews were unprepared to operate in a pool environment. SFD has altered its training procedures for these types of situations since the incident occurred, but the hotel claims that firefighters' inexperience in a pool setting was at least partly to blame for Deboch's death. In fact, Seattle Hospitality Inc. - who owns and operates the hotel – recently filed a third-party complaint requesting that the City of Seattle be included as a defendant in the lawsuit.